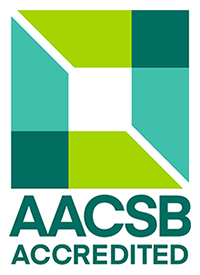 Registration Fee: $150.00 (All proceeds support Investment Management Certificate Program student scholarships and program learning opportunities). Discounts available for corporate sponsors. Equity Investing. The road to more consistent alpha, which is especially important in the age of rising passive management and declining fees, may involve using technology in equity analysis and information gathering, developing risk models, and alpha factors by traditional active managers. Investment Strategy. Is the economy moving to late cycle? Is market volatility on the rise? This may have significant implications on your portfolio. IoT: Can It Solve the U.S. Productivity Problem? Technology is changing how corporations operate. Will IoT, blockchain, and improving data analytics help drive up productivity and economic growth? William Delwiche, Managing Director and Investment Strategist, Robert W. Baird & Co.
4:00-5:15 pm IoT: Can it Solve the U.S. Productivity Problem? Additional speakers to be added in the near future. Mark Cotteleer, Executive Director, Deloitte Center for Integrated Research – Deloitte Services leads global cross-sector research at Deloitte. He collaboratively works with clients and other thought leaders to deliver insight that drives business success. His research primarily focuses on the application of advanced technology in pursuit of operational and supply chain improvement. He is widely-published in top management and academic journals including the Harvard Business Review, Production and Operations Management and others. Mark is also the recipient of several research and teaching awards including “Best Paper” recognitions from the Journal of Operations Management and the Academy of Management, the George Dively Award for Outstanding Research from Harvard Business School, “Educator of the Year” (twice) from the Marquette Executive MBA program, and the John P. Raynor, S.J., Faculty Award for Teaching Excellence from Marquette University. In addition, Mark has 25 years of consulting experience. He has led teams in technology-enabled business transformation, supply chain strategy, business analytics, and process design. Mark’s experience includes clients in manufacturing, distribution and supply chain, healthcare, and service industries. Mark has a Doctorate of Business Administration, Technology and Operations Management from the Harvard Business School and a MS, Industrial and Operations Engineering, as well as an MBA, from the University of Michigan. He received his BBA in Finance from Marquette University. Jeff deGraaf, CFA, CMT, is founder and Chairman of Renaissance Macro Research, an independent macro-research boutique firm based in New York. Jeff has been one of Wall Street’s most influential macro-based analysts over the last 20-years, consistently ranked by Institutional Investor magazine since 2002, and a member of Institutional Investor’s exclusive Research Hall of Fame. Prior to founding RenMac, Jeff cut his teeth at Merrill Lynch in the 1990s, then Lehman Brothers for 10 years where he served on the firm’s investment policy committee as a Managing Director. In early 2007, Jeff moved to ISI as an Executive Managing Director, also serving on the firm’s management committee and heading the firm’s investment policy committee. A member of the NYSSA, MTA, and a CFA and CMT charter-holder, Jeff is often quoted in Barron’s, the Wall Street Journal and found on the financial analyst speaking circuit around the world. An avid skier and aviator, Jeff is known for integrating his historical knowledge and experience with cutting-edge quantitative techniques that cut through the bull and demystify the complexities of the financial world. William (“Willie”) Delwiche, CMT, CFA, is Managing Director and Investment Strategist at Robert W. Baird. In addition, he is a member of the Investment Policy Committee. Before joining Baird in 1999, he worked at the Committee for Economic Development, a Washington, D.C., pro-business think tank. Since 2004, Willie has also been the co-manager of Baird’s ETF-based ALIGN Tactical Portfolios. Willie received a BA in Economics and in Government and Politics from the University of Maryland, and an MA in Economics from the University of Wisconsin-Milwaukee. He is a member of the Market Technicians Association and past member of the American Economics Association. Willie is both a Chartered Market Technician and a CFA charterholder. Brian Hellmer, CFA, CIPM, is Managing Director of Public Equities at the State of Wisconsin Investment Board (SWIB). He helps drive the ongoing success of the public equities division, ensures compliance with policies and risk management guidelines, and contributes to the overall plan asset allocation and risk exposure decisions. Formerly, he was the Director of the Hawk Center for Applied Security Analysis at the University of Wisconsin-Madison, Managing Partner and Director of Research of Northern Capital Management, and an Equity Analyst & Strategist at Bank of America. In these roles, he had experience as an instructor and manager of analysts, as a growth and fixed income fund manager, and as an analyst. Brian has an MS in Finance, Investments & Banking and a BBA in Finance, Investments & Banking from the University of Wisconsin-Madison and is a CFA charterholder. Thomas Lee is a Managing Partner and the Head of Research at Fundstrat Global Advisors. He is an accomplished Wall Street strategist with over 25 years of experience in equity research, and has been top ranked by Institutional Investor every year since 1998. 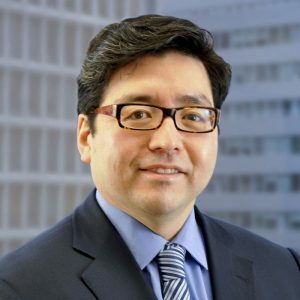 Prior to co-founding Fundstrat, he served most recently as J.P. Morgan’s Chief Equity Strategist from 2007 to 2014, and previously as Managing Director at Salomon Smith Barney. His areas of expertise include Market Strategy, Small/Mid-Cap Strategy and Telecom Services. Mr. Lee received his BSE from the Wharton School at University of Pennsylvania with concentrations in Finance and Accounting. He is a CFA charterholder and is an active member of NYSSA and the NY Economic Club. 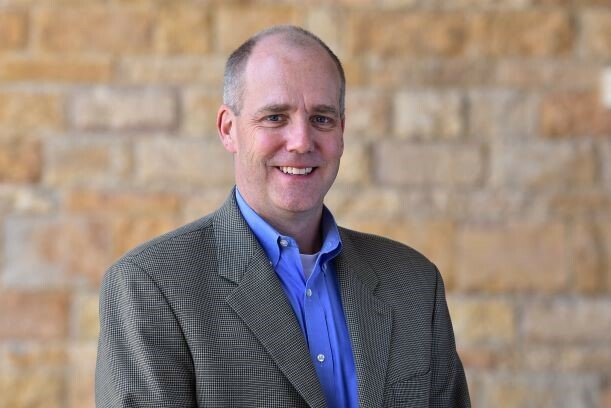 David Vasko is Director of Advanced Technology at Rockwell Automation, where he is responsible for applied R&D and Global Product Standards and Regulations. He is charged with developing and managing technology to enable the future generation of Rockwell’s industrial automation products. David has held leadership positions in development and research groups while at Rockwell. He managed the Distributed Control Research lab, where agent based control systems were first developed and successfully deployed in industrial applications. He managed the Architecture Development group and contributed to the development of the Control Logix Architecture and CIP (Common Industrial Communication Protocol/IEC 61158) which is currently used in over 15 million industrial devices. He led the team that developed the CIP Safety communication protocol (IEC 61784-3) and in 2005 he was recognized as Rockwell Automation’s Engineer of the Year for his contribution. David is a senior member of the IEEE. 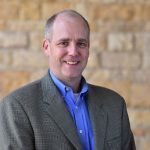 He is on the boards of the Smart Manufacturing Leadership Coalition, the IoT Talent Consortium (Secretary) and the Milwaukee Institute. He is a member of the Wisconsin Technical Council, the US National Committee and serves on Technical Advisory Groups in the US National Committee for industrial control. He serves in leadership positions within the IEC (IEC 65B Secretary, TC65 Advisory Group) and is a member of the IEC Strategic Evaluation Group (SEG7) focused on Smart Manufacturing and Industrie 4.0, the Industrial Internet of Things. David has authored 20 papers, contributed to three books and secured 66 patents. Bob Bukowski is Principal & Senior Consultant at Alpha Investment Consulting Group. Bob founded Alpha in 1989 and has worked with clients ranging from $1 million to over $1 billion in assets. He has worked in the financial services industry for over 30 years. Bob regularly conducts on-site due diligence at money management and hedge funds. Additionally, he has conducted on-site due diligence on Frontier Market companies in Africa (Ghana, Kenya and Ivory Coast), Eastern Europe (Georgia, Bulgaria, Romania and the Ukraine), Asia (Bangladesh, Laos and Vietnam), and met staff at the Nepal stock exchange in Kathmandu. 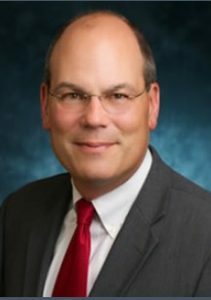 He is a member of the CFA Society of Milwaukee, GMEBC, and WRPPL, and currently serves on several boards, including the Milwaukee County Council Boy Scouts of America Endowment Fund and the UWM Foundation. He is also heavily involved with Make a Difference – Wisconsin, a non-profit organization that provides financial literacy education to high school seniors throughout Wisconsin, where he currently serves on the board and is a former board President. In addition, Bob is a member on the Advisory Council of the Investment Management Certificate Program in the Lubar School of Business at UW-Milwaukee. Bob graduated with a Bachelor of Business Administration from UW-Madison. Kathleen Gallagher is a Pulitzer Prize winning journalist and an Executive-in-Residence at UWM’s Lubar School of Business She also serves as Executive Director of the Milwaukee Institute, a nonprofit technological center that is redirecting resources to cloud computing. It was founded with funds from Milwaukee private equity firm Mason Wells, Metavante (now FIS), Rockwell Automation, and Johnson Controls. Previously, Kathleen spent 23 years as a business reporter for the Milwaukee Journal Sentinel, where she covered technology, entrepreneurship, and investments. She was part of a team that won the Pulitzer Prize in 2011. Earlier, she was a Communications Consultant for The Federal Reserve Bank of Chicago. Kathleen is Executive-in-Residence in Investment Communications for University of Wisconsin-Milwaukee. She has a graduate degree in English from the University of Illinois at Chicago and an undergraduate degree in journalism from University of Wisconsin-Madison. Jack Plunkett, CEO, Plunkett Research, Ltd. Thank you to the 2019 conference sponsors!